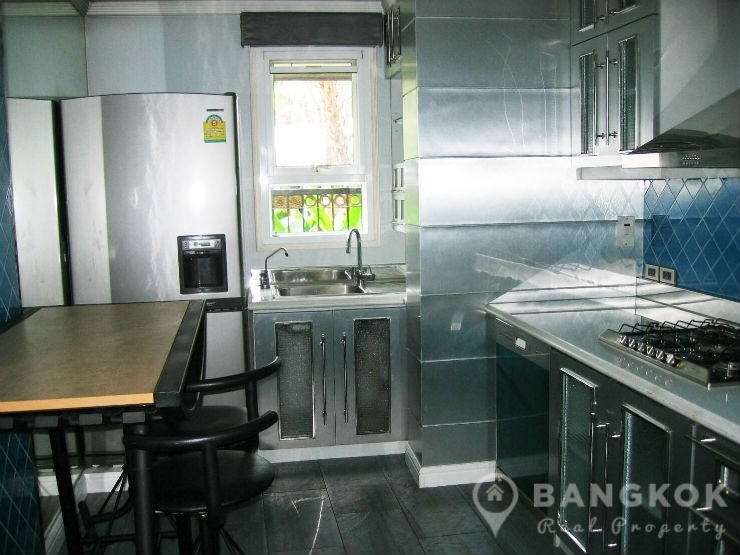 This spacious, modern, detached 3 bedroom Ekamai House is available to rent, superbly located just off Sukhumvit 63 and within 15 minutes walk of Ekkamai BTS station. 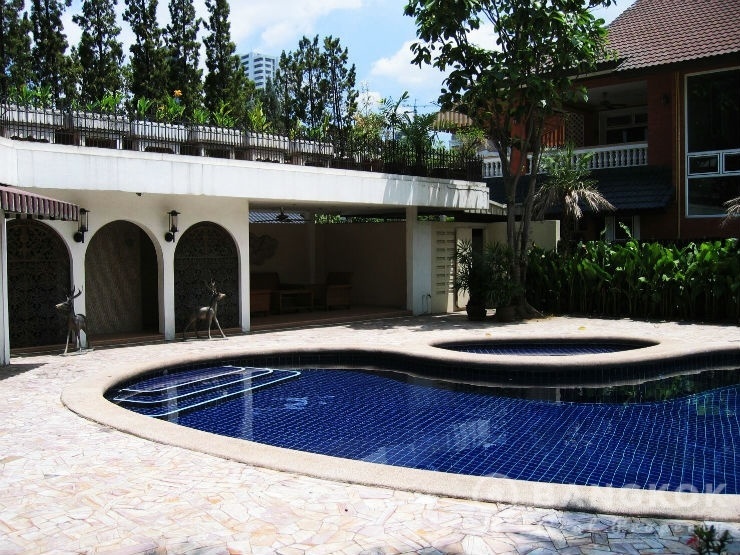 The house is set in its own gardens and has a beautiful private swimming pool. 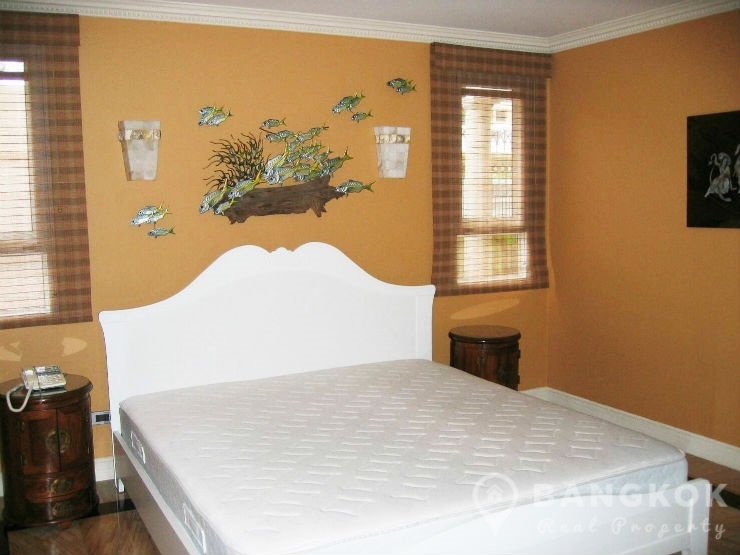 This great downtown house offers residents easy access to Major Cineplex, Gateway Mall, Park Lane, Big C Center, several top international schools including St Andrews International School and Ekamai International School and for golfers the 42 T-Off Golf Driving Range is nearby. 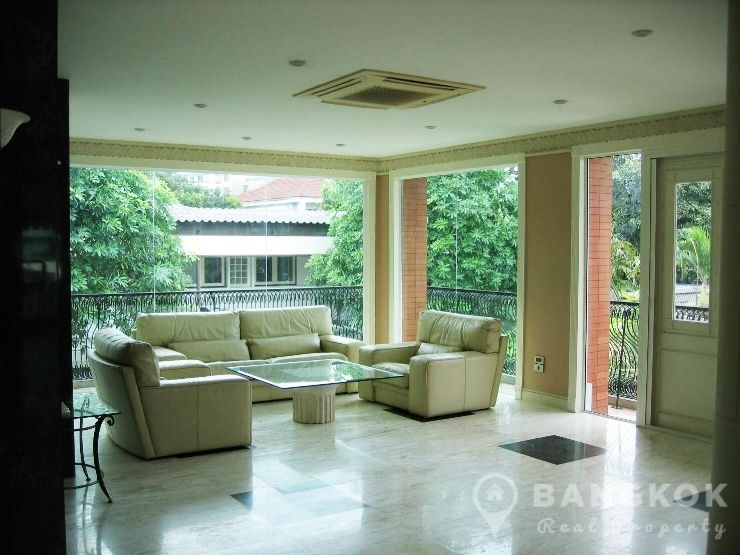 This detached Ekamai house has 3 double bedrooms, 3 modern bathrooms and 300 sq.m of living space set in mature private gardens in a plot of 180 sq.wah with a private swimming pool with diving board and separate Jacuzzi. The airy livingroom and dining room have floor to ceiling windows and marble floors throughout, the house is fully furnished with air conditioning in all rooms and there is a separate European style kitchen with built in units, electric oven, gas hob, dishwasher and large family fridge-freezer. There is 1 maids room and utility / storage room with a washing machine. 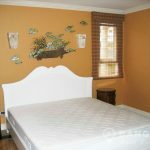 The master bedroom has extensive built in storage, balcony and ensuite bathroom with Jacuzzi bathtub and separate shower, the other 2 bedrooms are doubles with ensuite bathrooms with showers. Outside there is off street parking for 2 – 3 cars. 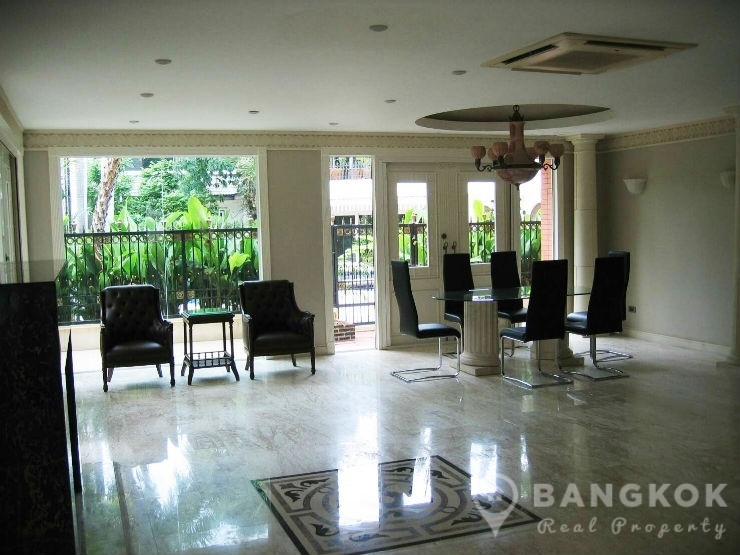 This spacious, detached, 2 storey house set in its own grounds within 15 minutes walk of BTS Ekkamai. 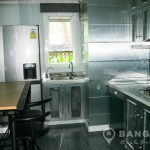 The house has living space of 300 sq.m / 180 sq.wah with 3 bedrooms, 3 bathrooms, 1 maids room's, good storage and its own private swimming pool.